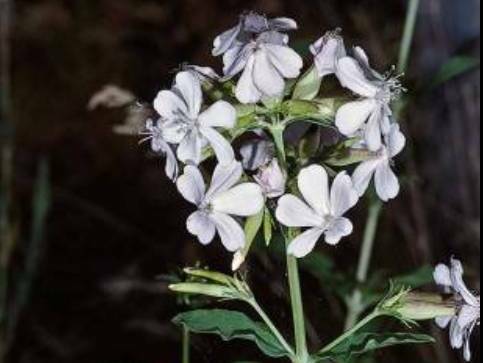 Saponaria officinalis (bouncingbet) is a perennial (family Caryophyllaceae) with vigorous rhizomes. Bouncingbet is cultivated as an ornamental or medicinal plant but has escaped gardens in various regions of the United States. In California, it is especially problematic near Mono Lake.